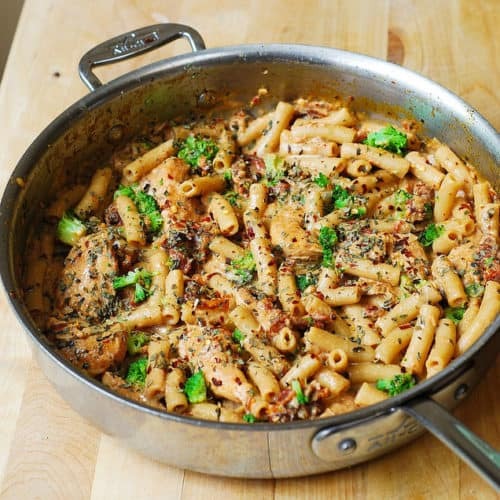 Delicious Chicken and Broccoli Pasta with Sun-Dried Tomato Cream Sauce – Italian-inspired recipe. Penne pasta smothered in a flavorful, creamy sauce spiced up with garlic, sun-dried tomatoes, basil and crushed red pepper flakes! Broccoli and creamy sauce always go together as in this chicken broccoli alfredo pasta and this fettuccine alfredo with chicken, broccoli and bacon, especially if you add sun-dried tomatoes and basil! To make 1 cup of half and half, combine 1/2 cup of milk and 1/2 cup of heavy cream. In the mean time, cook both pasta and broccoli florets in a single pan (or steam broccoli separately, if you prefer), chop the broccoli into smaller pieces, and add both pasta and broccoli to the creamy sauce. Stir everything in. Remove pasta from heat and let it sit covered for 5 minutes before serving. Penne pasta smothered in a flavorful, creamy sauce spiced up with garlic, sun-dried tomatoes, basil and crushed red pepper flakes! 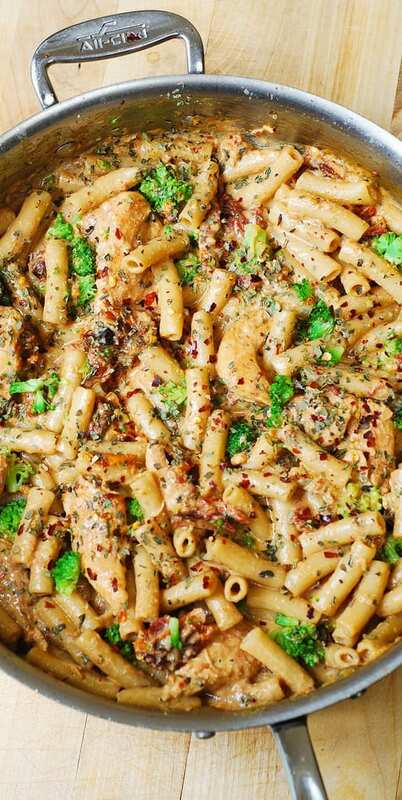 Chicken and Broccoli Pasta with Sun-Dried Tomato Cream Sauce - Make this Italian-inspired pasta dish at home. 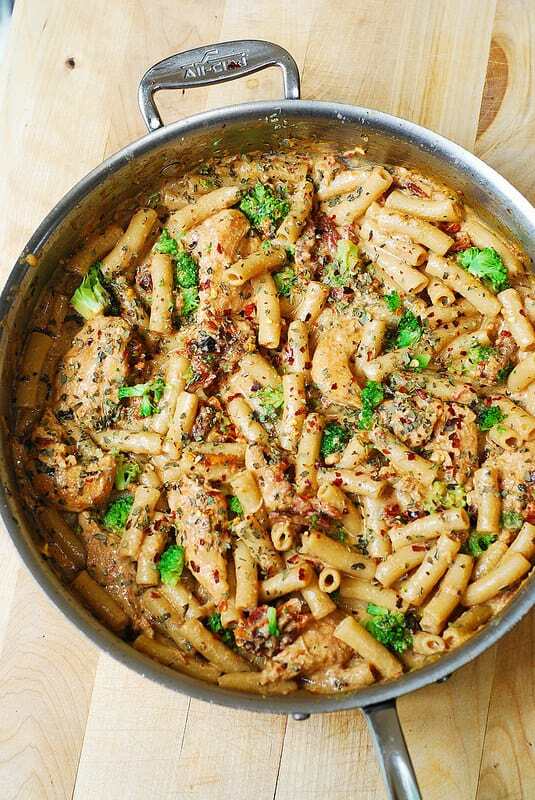 Making this tonight for dinner and I know it will be a hit.i have made this before without broccoli.this time though we using dinosaur shaped pasta that my seven year old son picked out . You’re very welcome! 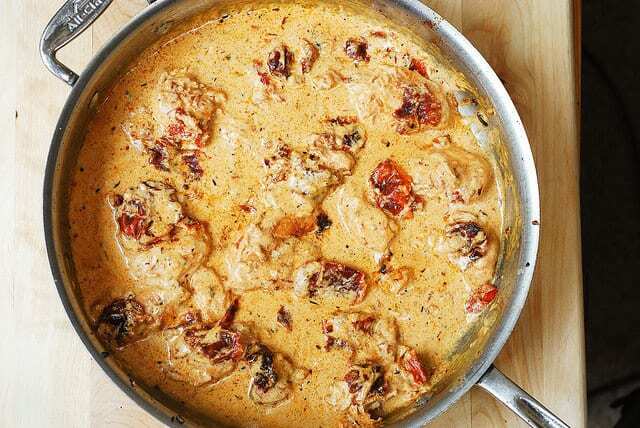 I am glad you liked this recipe! 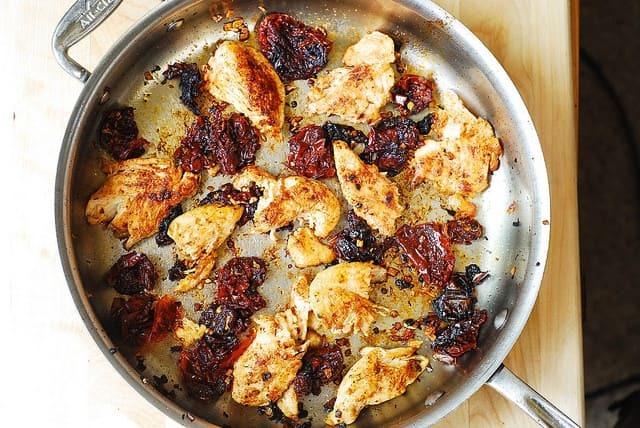 Spinach and cherry tomatoes are great additions!